This article caught our eye when we saw one of our colleagues, Katie Clapp, co-founder of FRAXA Research Foundation, featured in the article. 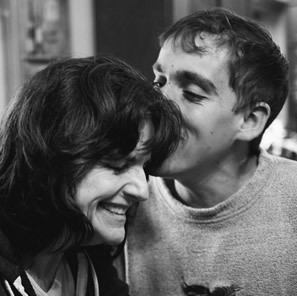 Ms. Clapp is the mother of a 27-year-old male with fragile X. When Katie found out that her son had fragile X, she helped establish FRAXA Research Foundation, a foundation that funds research on finding a cure for the syndrome. Instead of just offering support to patients, foundations now play an active role in driving research to find solutions and treatments. Reading this, we were reminded of the influence and perspective that patient advocates bring to fragile X research. Our Fragile X World aims to help advocates understand and contribute to high-quality research. It's clear that foundations are becoming more interested in the science behind the diseases they seek to cure. Learn as much as you can about the science behind fragile X research. To help you understand our research methods, we make our reports and scientific publications available. Encourage patients you know to consider signing up for research contact lists, or registries. The Our Fragile X World registry is one such list of fragile X patients and their families. We'd love to hear your thoughts about the role of foundations in research on fragile X. Please consider sharing your questions or comments with us. What are your general thoughts about foundations playing a role in research? What fragile X patient organizations or foundations are you involved with? How does your organization support research? We hope to hear from you!